Nice effort, but come back another time with an improved, or more conventional, bid. That, in essence, is the message for Baku of Azerbaijan and Doha, Qatar, when omitted from the IOC’s approved shortlist of host campaigners for the Olympic Games of 2020. 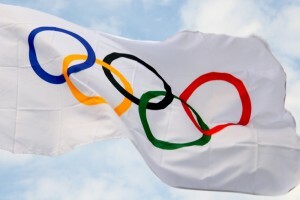 The technical report of a working group gave the IOC’s executive board, meeting at Quebec’s Sport Accord convention, the factual reasons for selecting the three candidates they unofficially preferred: Istanbul, Madrid and Tokyo. Thus, they could sidestep worrying political issues: namely, that Baku has enduring human rights controversies—evidenced in staging the current Eurovision Song Contest. Meanwhile, Doha’s immeasurable wealth, potentially a trump card during a global financial recession, simultaneously presents a distorted attraction, as witnessed in Qatar’s controversial election to host football’s World Cup 2022. With Istanbul reaffirming that hosting the Games is a national priority—having been warned by President Jacques Rogge that they would not be able in the same year to host football’s European Championships for which they are entered and to be determined early next year prior to the Olympic vote in September—the IOC could keep faith with the Muslim world, Istanbul one of three Islamic-based bids. The technical report was concise in its recommendations for the three selected. Tokyo was without question marks, Madrid and Istanbul carried minor reservations, with emphasis on Istanbul’s “risk” if attempting a double hosting. Yet, with Madrid’s economic woes, Tokyo following only two years after Pyeongchang’s Winter Games of 2018, Istanbul, financially fast developing, now looks like the favorite. The historic city bordering east and west would be an ideal Middle East swansong innovation for the retiring Rogge. Playing strictly according to the tactical cards they were dealt, the EB, duly noting that oil-rich Baku “significantly needing construction to meet requirements,” disqualified their credentials. It would help, no doubt, if Azerbaijan had an IOC member. The Sport Intern blog is published by Karl-Heinz Huba of Lorsch, Germany. This article is re-printed here with express permission. Mr. Huba can be contacted at ISMG@aol.com.